Peggi and I were in a band in the very early eighties. I think it was actually 1979 when we put the band together with Martin Edic, a friend we had met behind the counter at Record Theater in Midtown Plaza. We were asked to record a track for an album that Tom Kohn and Marty Duda were putting out called “From the City That Brought You Absolutely Nothing.” Needless to say I never cared for that title. We recorded in Robert Marsala’s house. He was the bass player in my previous band, “New Math.” Duane Sherwood played synthesizer swooshes. Martin was an active bass player. Peggi played sax. We all liked dance music and pop. Ned Hoskin joined on guitar, not lead, rhythm. We were Hi-Techs, an already dated concept, no “The” in the moniker and we insisted on the dash. We played fast. We had our own sound, kinda like a toy band. We played around town and quite a bit in Buffalo where we met Paper Faces and Tony Biloni. Tony played sax too and did this poster. Archive Records released two of our singles. 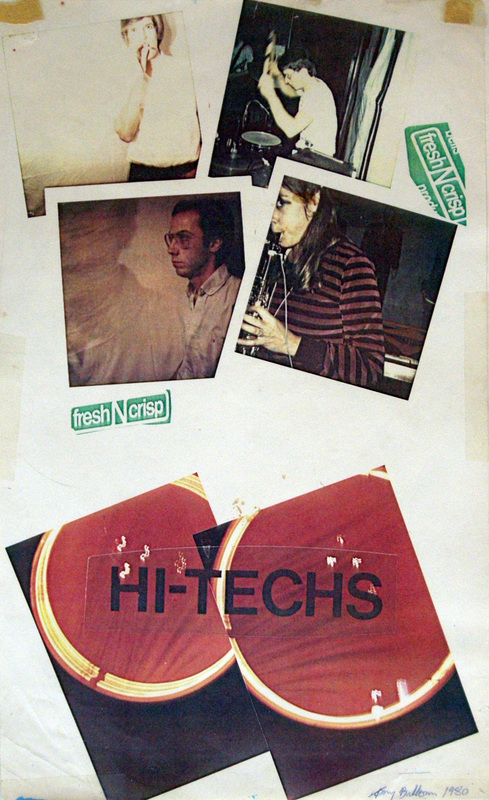 One of them, “Screamin’ You Head by Hi-Techs” got pretty popular at Danceteria, a New York club. We played a gig in a TV studio with Ozzie Osbourne that was broadcast on the old Channel 31. I rounded up the digital bits and pieces from that era and created a one page website dedicated to Hi-Techs. There’s seven songs on the site and “Subscription” is my favorite. Hi-Techs “Subscriptions Are My Prescription,” B side of Archive Records 45 recorded by Dwight Glodell at CSE Audio 1980. Man, I was playing some really speedy busy parts. Hard to listen to that now but it made for frenetic fun gigs. I think Incoming Mail is my fav- Peggi is wailing. We had a thing about mail- two songs about it! Thx for taking me down memory lane. I recently bought a copy of the single Boogaloo/Subscription on ebay – from a record dealer in L.A. no less. 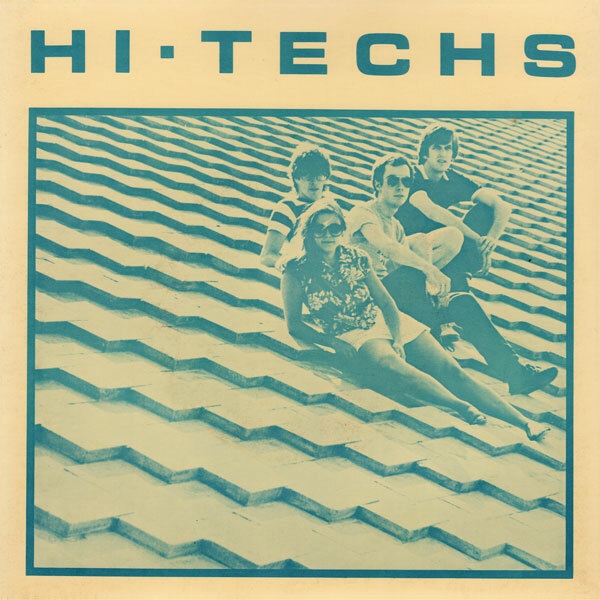 I was a (really bad) DJ on WITR when Hi-Techs hit the local scene and I remember playing Boogaloo as often as I could. Great stuff, thanks! I think it’s time for a re-issue (or a reunion?). And I swear I heard the word balsamic somewhere in the middle of that great rant in “Incoming Mail” … could it be? Great stuff!!!! !